Sleeping on silk sheets is a naturally healthy way to improve the quality of your sleep while impacting your beauty regimen. No other fabric on earth can hold a candle to the wonder of sleeping on soft, supple, natural silk sheets. This four piece set of sheets from Mulberry Park Silks offers a variety of luxurious features to consider. OEKO-TEX® Certified. This means that the materials that go into this product are certified at Standard 100. Chemically free and naturally died with no shading of colors or fading. The user is assured that the silk used is natural, chemical free and hypoallergenic. Deluxe 22 Momme. While the mark of a high quality of silk bedding starts at 19 momme, this deluxe version offers an even higher grade of silk coming in at 22 pounds per 100 yards of silk. That means a softer, denser, more durable form of highly graded silk. Slightly Narrow Top Sheet. One concern about this sheet set is that, for some, the top flat sheet of this set may be a bit too narrow to be able to tuck all the way around and into the sides of a queen sized bed. Cost. 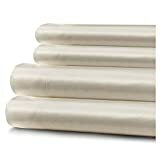 As with any silk sheet set, the price of these may be a bit on the high side when compared with regular cotton or polyester sheets. However, when compared with other silk sheet sets, this one comes within the mid-range of price and is affordable considering its quality. 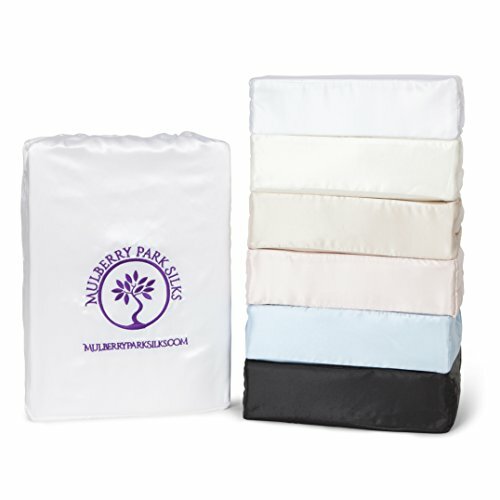 Mulberry Park Silks Company offers a variety of silk products including sheets, sleeping masks, pillowcases, and children’s bedding. The company seems to be located in the United States (although their contact information does not specify). A toll free number is available which customers may make use of if they have questions or concerns about their silk sheets or other products. They can also be contacted through email. Gathering reviews from around the internet helps you to be sure that you’ve make the best possible purchasing decision for your silk sheets. Here we’ve discovered what independent review websites and other purchasers have to say about this product. 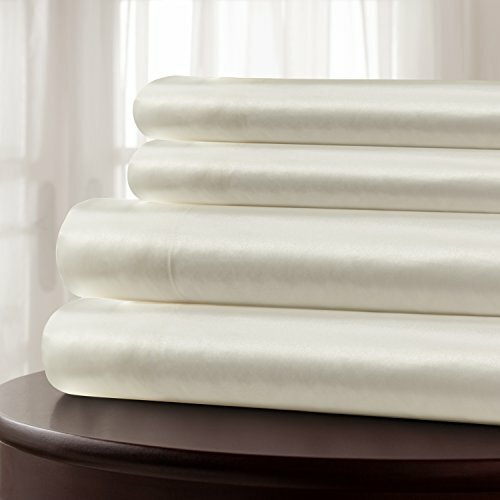 One verified Amazon purchaser mentions that these are exactly what is expected from silk sheets. Not too slippery, but feeling creamy, smooth and “buttery”. She says that she absolutely didn’t find that she was sliding off the bed at any point! The sand color that she chose was “sand” and it is very similar to a light champagne color. A different verified purchaser from Amazon mentions that she did a great deal of research before buying silk sheets and ultimately chose this one. She is happy to have paid extra for this set of sheets as they are off good quality. She bought hers in the pink color and loves how they help adjust her temperature to whatever is needed in the moment. She says they wash well and she’ll never go back to regular sheets! One other reviewer on Amazon bought the sky blue version of these sheets and calls them “gorgeous”. She says that they are decadently soft, and definitely worth the expense. She recommends that anyone looking to indulge a bit would but these—and they won’t regret it! Mulberry Park Silks offers an extremely high quality 4 piece set of silk sheets with an incredible 22 momme fabric made exclusively from mulberry silk. Anyone who sleeps on these sheets loves them and the investment is absolutely worth it. If you’re looking a durable, functional set of silk sheets that will make your sleeping dreams come true, this product holds its own.